When it comes to SEO the hierarchy for site navigation is incredibly important as it needs to be user friendly and search engine friendly. A navigation hierarchy of no more than 3-tiers is the best design choice when it comes to building a website. Websites are designed around a homepage – it the core of the website, and from there various links and menus navigate the user to other parts of the website. 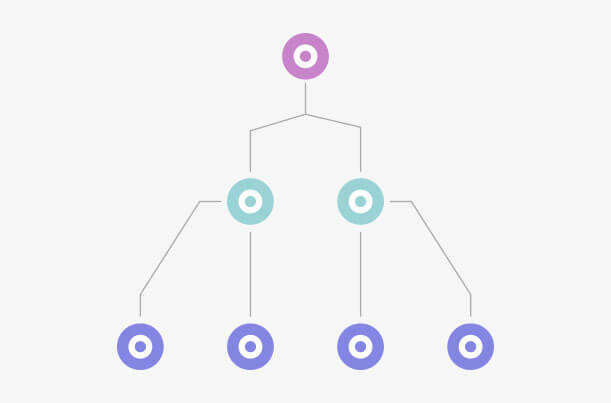 The most popular type of hierarchy is one that resembles a tree if it were to be laid out. It has various levels of information organisation, and because of the way that information is being arranged people are familiar with it. The way that a tiered hierarchy works is that the closer you are to your homepage, the more vague topics should be in order to include vast subsections of information. For example if you were building a website about stationary your home page would contain sections for pens, paper and printing. Under each of these headings the information can become more specified, for example under pens categories such ballpoint, permanent marker, and red pens can be added. It is easy to see how a hierarchy is being created – and how it would be able to improve the user experience. When it comes to organizing web pages for navigation, it is best to move as many of the main pages to the index page as possible. This is because the less complex the navigation of a website is, the better a search engine robot will be able to navigate it. This will greatly enhance SEO, but should only be done when the website can be offline for maintenance.